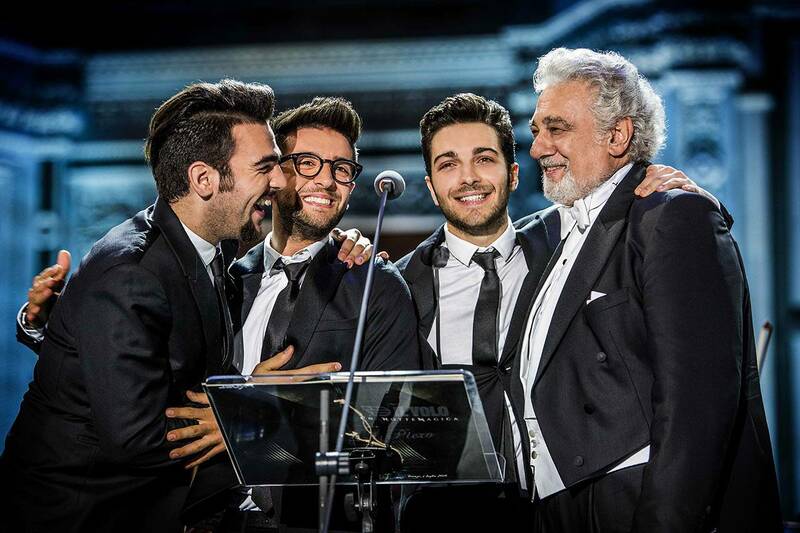 Just in time for the holidays, international superstars Il Volo are back with their fifth special for PBS, IL VOLO NOTTE MAGICA, featuring special guest Plácido Domingo. The trio wowed audiences worldwide with their previous four specials for PBS — II Volo Takes Flight,We Are Love, their enchanting Christmas special Buon Natale and Il Volo Live from Pompeii. In this new concert, taped on a magical night beneath the stars in Florence, Italy’s beautiful Santa Croce Square, Il Volo pays tribute to The Three Tenors. IL VOLO NOTTE MAGICA is part of special programming airing Thursday, December 1 at 7:30 p.m. on OETA-HD. Their new album, Notte Magica – A Tribute to the Three Tenors, features the same repertoire and is available now. Il Volo’s Piero Barone, Ignazio Boschetto and Gianluca Ginoble are joined by Plácido Domingo, who conducts a symphony orchestra for select pieces. Receiving intensive classical training for months prior to the event, Il Volo will sing in true operatic style, honoring the legend of the Three Tenors and bringing classical music to new audiences. Discovered by renowned manager Michele Torpedine (Andrea Bocelli), Il Volo were first introduced to America with their self-titled album in April 2011, which debuted on the Billboard Top 200 chart. They have since performed as special guests on America’s Got Talent and American Idol and guest-starred on the final episode of HBO’s Entourage. The group has also performed at the 2013 Daytime Emmy Awards, and toured with the legendary Barbra Streisand and appeared with her in two of her own PBS specials.